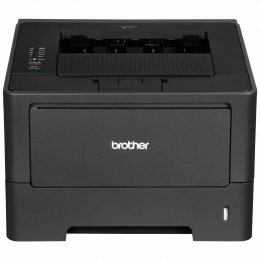 The Brother HL 5450DN is a cost efficient, B&W laser printer that is ideal for busy offices or small workgroups. 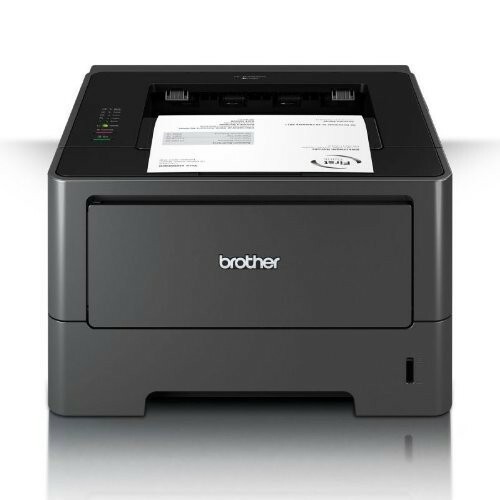 The Brother 5450DN features reliable, fast printing at up to 40ppm and automatic duplex printing for producing professional two-sided documents. Users can share the HL5450DN with others on their network via its built-in Ethernet interface, and wirelessly print from their mobile device. 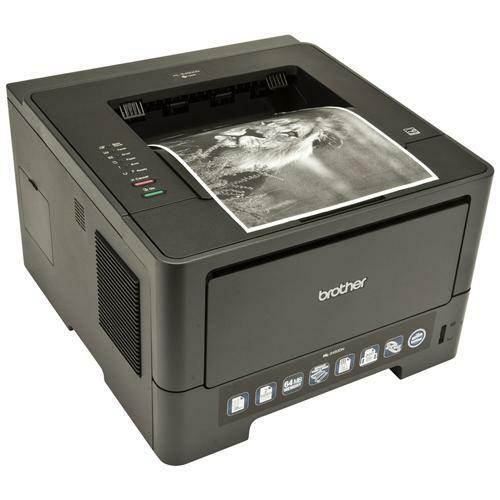 Fast, high-quality output - With a print speed of up to 40 pages per minute, this printer is ideal for busy offices. Plus, it offers up to 1200 x 1200 dpi resolution for crisp, clear text and excellent graphics. Flexible connectivity - Share with others via its built-in Ethernet interface or connect locally via its Hi-Speed USB 2.0 interface. Convenient mobile device printing - Print from your mobile device via: AirPrint, Google Cloud Print, Brother™ iPrint&Scan and Cortado Workplace. Cost efficient performance. - Spend less time replacing supplies and help reduce running costs with high-yield 8,000-page‡ replacement toner cartridge. Versatile paper handling - The Brother HL-5450DN offers an adjustable 250-sheet capacity paper tray for letter or legal size paper and a 50-sheet capacity multi-purpose tray for printing letterhead and custom paper sizes. Add an optional 500-sheet capacity paper tray for additional capacity. Automatic duplex printing - Produce professional two-sided documents, brochures, and booklets with ease. Duplex printing can help save money and reduce your paper use. Advanced security features - Provides a wide-range of security features including:Secure Function Lock, Enterprise Security (802.1x) and more. Unit Weight (lbs) 23.1 lbs. Looking to save paper and ink? Make sure to only print the pages you need of your document. Preview and proofread your documents on the screen before sending them to print. This will save you a lot of paper and re-printing.